Is My Old House Wiring Safe? The wiring in your home is the highway of power that feeds everything electrical in the household. Over time, parts of it can become damaged or deteriorated and may present a serious fire or shock hazard. But age alone doesn't mean wiring is inherently unsafe, nor does it automatically have to be replaced. It takes an experienced professional to properly assess the condition of old wiring and its ability to handle the electrical loads of your home, but there are a few things you can check for that can give you an early indication of where it stands. The oldest type of wiring system found in homes is called knob-and-tube, named for the insulating knobs and tubes are used to run the wiring along and through the house framing. Knob-and-tube wiring was run as individual wires—one black hot wire and one white neutral wire—throughout the home. The insulators keep the wires from touching each other and the wood other combustible materials. To make connections and wire splices, electricians soldered the wires then wrapped them with a rubber electrical tape called friction tape. Splices typically were not made in junction boxes, like they are today. Given the age of these wirings systems (most date back to before 1940), it's usually difficult to identify the hot and neutral wires because both are essentially black with dirt and dust. Neutral wires may also be a dark color with a white line or tracer, rather than all white. Being a two-wire system, knob-and-tube wiring does not have a ground for safety. This doesn't necessarily make the wiring unsafe to use, but it does rule out an important safety feature found on modern wiring systems. It also means there's no ground to protect appliances and sensitive electronics, leaving them vulnerable to damage from power surges. It's not feasible to add a ground to knob-and-tube wiring, so if you need a true ground for any circuits in your home, you'll have to replace the wiring. Can You Keep Old Wiring? According to the National Electrical Code (NEC) and most local codes that follow the NEC, existing knob-and-tube wiring can remain in use in a house. It may also be legal to add extensions to knob-and-tube systems, provided the proper materials and techniques are used. Historic homes may be granted special permission for various restoration work on knob-and-tube wiring systems. In situations where knob-and-tube wiring needs work, it's possible to splice the old wiring with new non-metallic (NM) cable, using junction boxes to protect all connections. However, this and any other work done on knob-and-tube wiring must adhere to local code requirements. Cracked, missing, or damaged wire insulation, exposing the metal part of the wire. 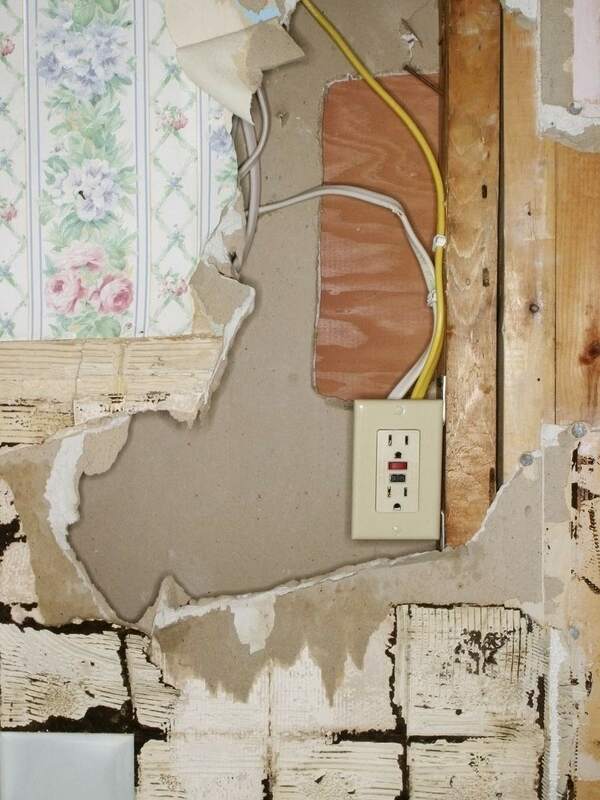 Wiring surrounded by building insulation of any type. Exposed splices (not in an electrical box) wrapped with modern plastic electrical tape, usually indicating the wires are not soldered. Exposed splices should be soldered. Fuses in the fuse box that are larger than 15 or 20 amps. Old wiring wasn't sized for today's large appliances, which may need 30-, 40-, or 50-amp service. A 30-amp or larger fuse indicates an "overfused" circuit, which is highly dangerous. As a general rule, old wiring should be fused for no more than 15 amps for safety.